Hire Us Full service, flexible Orlando Property Management. Find a Rental Easily find and apply for your next place to call home. Owners We provide access to owner statements and more! Residents Pay rent and submit maintenance requests online 24/7. Get peace of mind with a company you can trust. When searching for a Property Manager, savvy individuals look for industry leaders dedicated to the profession of Property Management. As members of the National Association of Residential Property Managers (NARPM), our division offers valuable experience, knowledge, education and service in the ever-changing industry of property management. We look forward to building a relationship with you to prove why we are leaders in our industry. RE/MAX 200 Realty Property Management Division serves all of your residential leasing and management needs in the Greater Central Florida area. We provide exceptional service for homes for rent in Orlando, Altamonte Springs, Longwood, Lake Mary, Casselberry, Oviedo, Winter Springs, Winter Garden, Ocoee, Apopka, & Winter Park. We also provide home rentals and home rental management services in the Sanford, Bay Hill, Fern Park, Baldwin Park, Colonial Town, UCF and Downtown Orlando areas. Our expertise is in renting single-family homes in Orange & Seminole County. If you are looking for a rental house in the Greater Orlando area visit our Available Properties tab to view current available rentals. Should you need to secure a home outside of the Greater Orlando Area please visit our Referrals page and fill out the information form. An agent servicing the area that you are looking for will contact you & help secure the perfect rental home for you. Start your search today for your perfect place to call home. 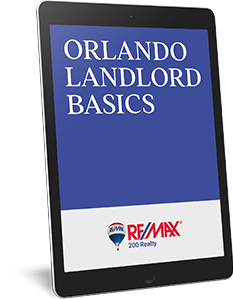 Stay updated with news regarding property management in the Orlando area.